SpaceX has ordered additional inspections on a Falcon 9 rocket at Vandenberg Air Force Base in California set to launch 64 small satellites, a decision that is expected to keep the launcher grounded for several days until after the Thanksgiving holiday, officials said Saturday. The Falcon 9 was supposed to take off Monday from Vandenberg — a military base around 140 miles northwest of Los Angeles — but SpaceX announced the postponement in a tweet Saturday. The Falcon 9 rocket will launch 64 satellites on a rideshare mission arranged by Spaceflight, a launch broker for smallsats based in Seattle. The 64 payloads, ranging in size from a Rubik’s cube to a refrigerator, are owned by a variety of U.S. and international operators, including the U.S. government, research institutions, and commercial companies. The launch will set a record for the most satellites ever deployed in orbit on a U.S. rocket, but it will fall short of the global mark of 104 spacecraft launched on an Indian rocket last year. The upcoming launch is also noteworthy because it will be SpaceX’s first flight to reuse the same Falcon 9 first stage booster a third time. 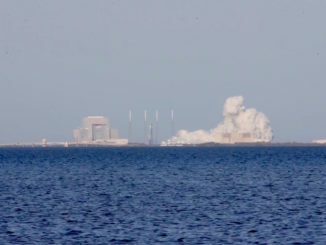 The booster assigned to Spaceflight’s SSO-A rideshare mission flew two times from Florida: On May 11 from NASA’s Kennedy Space Center with the Bangladeshi Bangabandhu 1 communications satellite, and again Aug. 7 from Cape Canaveral Air Force Station with the Indonesian Merah Putih telecom payload. On both occasions, the first stage landed on SpaceX’s drone ship in the Atlantic Ocean and returned to port for inspections, some limited refurbishment and reuse. SpaceX has re-launched a previously-flown first stage booster 17 times, most recently on Thursday’s launch from the Kennedy Space Center in Florida with Qatar’s Es’hail 2 communications satellite. But all of the first stages to date have only flown twice. That changes with SpaceX’s next mission as the company aims to eventually reuse Falcon 9 boosters up to 10 times without refurbishment, and up to 100 times with periodic overhauls. The latest iteration of the Falcon 9 design, commonly known as the “Block 5” version, includes upgrades over earlier designs to make reusing the rockets easier. SpaceX plans to recover the first stage again aboard its West Coast drone ship in the Pacific Ocean after Spaceflight’s multi-satellite launch. Several people working with the payloads on the rideshare mission said the delay was ordered by SpaceX to resolve concerns with the rocket. One official with a company that owns payloads set to ride to orbit on the Falcon 9 rocket said the launch will be delayed until after Thanksgiving, and another customer on the SSO-A launch said in a tweet that the flight will be delayed by five or six days. 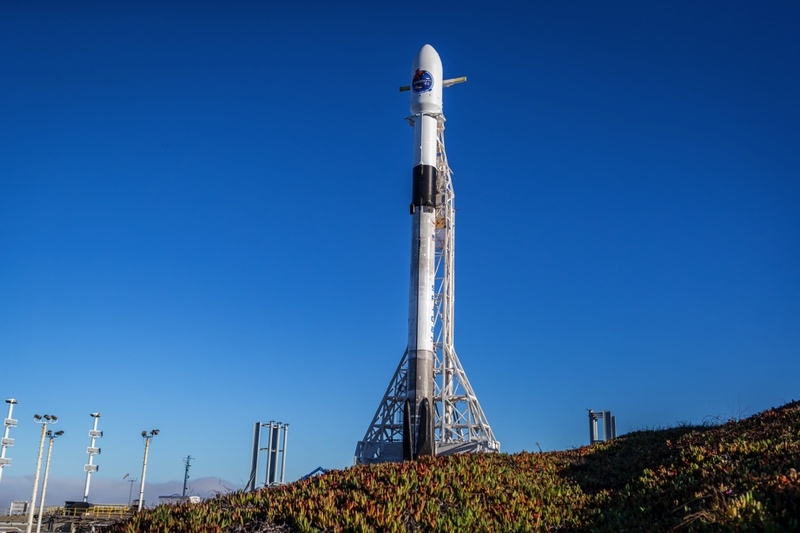 “Unfortunately, the (Spaceflight SSO-A) launch is delayed by 5-6 days due to some additional inspections of the SpaceX rocket,” officials tweeted from an account associated with the MinXSS 2 CubeSat mission flying to orbit on the Falcon 9. The satellites riding on the flight include 15 microsatellites and 49 CubeSats. Seven CubeSats were not ready in time for a November launch, and technicians replaced them with ballast that will stay aboard Spaceflight’s dual deployment modules, ensuring mass and balance calculations for the launch remain unaffected, according to Jeff Roberts, Spaceflight’s mission manager for the SSO-A mission. The microsatellites and CubeSats come from 17 countries: the United States, Australia, Italy, the Netherlands, Finland, South Korea, Spain, Switzerland, the United Kingdom, Germany, Jordan, Kazakhstan, Thailand, Poland, Canada, Brazil, and India. Rockets typically launch with one or two primary satellites, and sometimes carry additional secondary payloads to fill unused capacity, but the SSO-A launch follows a different model. There are no primary payloads on the SSO-A mission. Spaceflight purchased the full capacity of the Falcon 9 launch in 2015, and satellite owners booked their launch contracts with Spaceflight, not with SpaceX. Spaceflight has brokered rideshare launches on rockets before, including India’s PSLV and Russia’s Soyuz, but those missions flew on launches carrying bigger satellites in the primary payload slot. The rideshare arrangement allows satellite owners to divide the cost of a rocket launch, instead of paying for the entire mission. SpaceX test-fired the Falcon 9 rocket Thursday night at Vandenberg in a customary pre-flight countdown test at Space Launch Complex 4-East. Technicians planned to return the rocket to a nearby hangar for attachment with the SSO-A payload stack, which was already encapsulated inside the Falcon 9’s nose fairing. Spaceflight’s unique spacecraft carrier modules, named the upper and lower free flyers, will separate from the Falcon 9’s upper stage in a roughly 357-mile-high (575-kilometer) orbit after liftoff from Vandenberg. “We refer to them as free flyers because that’s exactly what they are. There is no propulsion system on-board. 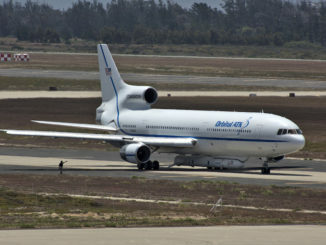 They just simply hold all the avionics and the dispensers to command deployment,” Roberts said. The upper free flyer is based on a commonly-used secondary payload adapter — known as an ESPA ring — built by Moog. The lower free flyer is Spaceflight’s own design, according to Roberts. Four of the microsatellites launching on the SSO-A mission will separate directly from adapter plates on the Falcon 9 second stage after it arrives in orbit. The other 60 will deploy from the free flyers in a timed sequence over the next five hours. The free flyer modules will unfurl drag sails after the satellite deployments to help bring the dispensers back into Earth’s atmosphere. 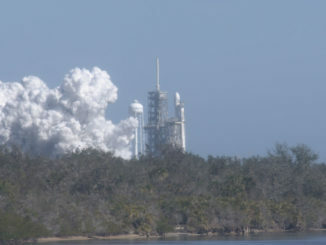 “Everyone is integrated, the entire structure has been encapsulated, and SpaceX has broken over (turned) the encapsulated structure horizontal in preparation for mating to the rocket,” Roberts told Spaceflight Now. The total mass of the free flyers and payloads launching on the SSO-A mission is around 8,800 pounds, or 4 metric tons. With all the satellites now aboard the free flyer modules, there are no plans to delay the launch if engineers detect a problem with one of the payloads. It’s a hands-off approach crafted to ensure a problem with one satellite does not affect the others. “At this point, the train is still leaving the station,” Roberts said in an interview. The launch window each day opens at 10:31:47 a.m. PST (1:31:47 p.m. EST; 1831:47 GMT) and runs nearly a half-hour. 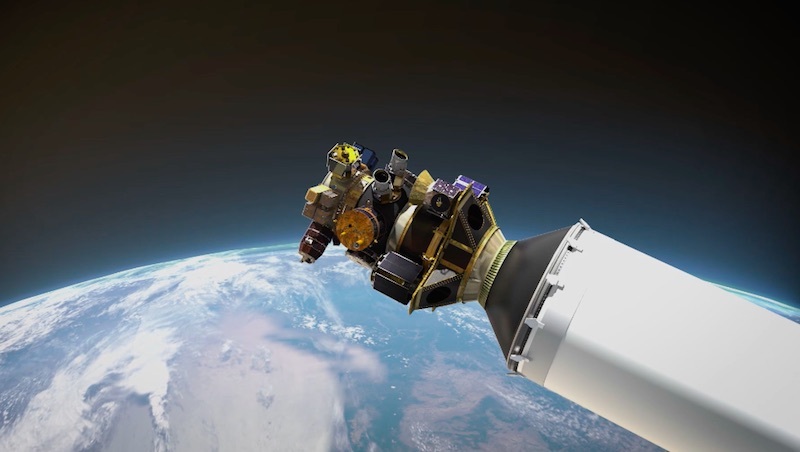 There’s a chance the liftoff time could be adjusted within the launch window based on calculations on the day of launch to avoid a chance one of the spacecraft could collide with an object already in space. The launch caps a feverish two months of work installing the satellites on the dispensers at Spaceflight’s facility in Auburn, Washington, then shipping the modules by road to Vandenberg. Eleven microsatellites were shipped directly to Vandenberg by their manufacturers — and added to the payload stack there — because they could not be transported by road when fueled with propellant. “I’m really excited, and that’s pretty much how the team feels, too,” Roberts said. “This is the culmination of almost three years of work by this team, and in the last 60 days, many people on this team have been working 12-to-16 hours per day, seven days per week, so they put a lot of effort to make this successful for us and for all of our customers.